Ryobi is not a popular brand that’s closely associated with hand tools, but I’ve used a few, and I’ve been relatively impressed with the quality and performance of their tools. 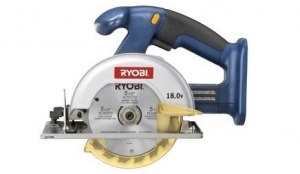 I wanted to purchase a new circular saw to replace a few rotting sub-floors, and I felt like it was only right to turn to Ryobi to make the purchase. compatible so I thought this option was sufficient. I’m extremely proud of the price because I’ve paid a lot more for others that don’t come anywhere near it’s performance. I purchased it about a year ago and I’m very satisfied with the purchase. I don’t believe you can go wrong it because it’s relatively cheap, and it’s exemplary in terms of functionality, and usability. When it comes to getting the job done, I don’t believe you can ask for a much better Saw. It works wonders for cutting. When you look at the P501 overall, you’ll notice that it’s fairly small, at least when compared to others. You shouldn’t let the size deceive you because it’s both effective and efficient. The first time I used it was to cut through tough 3/4 inch wood, and it’s performance was impeccable. It splices through wood without any hesitation whatsoever. I was actually quite surprised. It has 18 volts which is more than enough for the tasks that I use it for. would have had to do so about once or twice by now. The blades that were included have carbide tips, which is unlike most others that I’ve used. This adds a certain toughness to the blade, which helps to extend it’s life. Although I have not had to replace the blade, I love it’s quick swap capability. With a slide of the left spindle the blade locks and unlocks. base in a way that makes operating it a lot easier. It has an ergonomic design which eliminates the need to have to bend your arms as much. Overall, I believe it’s very user friendly. The blade adjuster is located at the front of the saw, which I believe is a perfect location. There are measurements on the adjuster which adds the ability to accurately set it to the proper length. It’s simply twists to lock and adjust, so the blade adjusts in almost no time. Altogether, I would say that it’s both reliable and sustainable. In my opinion, it provides everything that you need in a Saw! It’s well worth the price and more. Two thumbs up, I highly recommend it!